Yesterday on 9th June 2010 United Nation has accepted the resolution of imposing more stronger Sanctions against Iran. 12 Votes where cast in support of Resolution while Turkey and Brazil opposed this resolution. 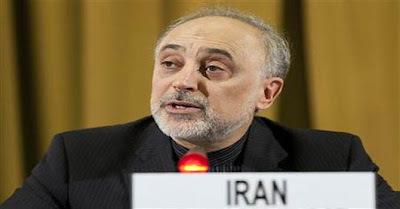 Iranian President has said that such Resolution must be thrown in Waste basket and it cannot stop Iran from completing its nuclear program that is for peaceful purposes. This is third time when Sanctions are Imposed against Iran by United Nations. After these Sanctions Iran will not be able to buy Heavy Weapons from some Countries while the Licenses of Some Iranian Banks will also be canceled. American President Barack Obama has said that imposing these Sanctions was necessary to stop Iran from making Nuclear weapons. Western World's double standards are exposed once again after this Resolution. They got ready to impose Sanctions against Iran so quickly but they are not ready to take any action against Israel's Terrorism or its Nuclear weapons.